This is the story of a City Girl gone Country. I met Papaw 20 years ago when I moved to Greeneville. 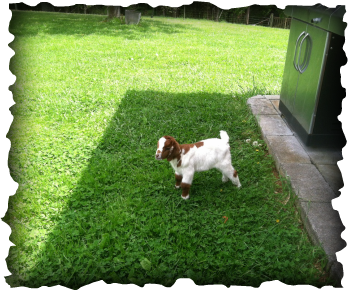 We fell in love and got married...Papaw had a farm, that he was not currently working...I asked for a goat.....and well you can see what has happened. Any money we make, selling what we have available at the time, goes right back to the farm, helping feed all the animals and keeping the farm going for the future of our families. 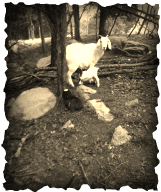 Goat Kids DUE in MARCH 2019...make arrangements to come do a farm tour, and maybe see kids being born. Farm Tours start @ $5.00 per person for a 1 hour tour. Princess Grace delivered Triplets April 14th in the Afternoon. 2 Doelings and a Buckling. All are doing quite well. 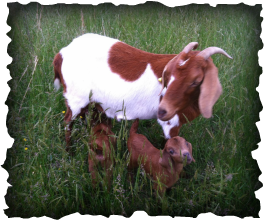 Little Red gave birth to a single Doeling on Thursday evening, April 25th. 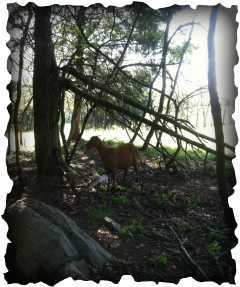 Little Mabel has Twins ! Wild Thing had twins also born on April 14th. and an adorable Solid Red Buckling with a white crown, and a line of white across his belly. Update: Unfortunately, we lost our little red buckling. Not sure what happened. I hate losing a baby. My Little Bottle Baby !